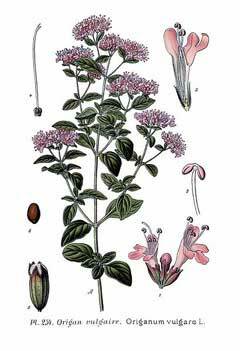 Oregano means “mountain joy,” and was revered as a symbol of happiness by the ancient Greeks and Romans. 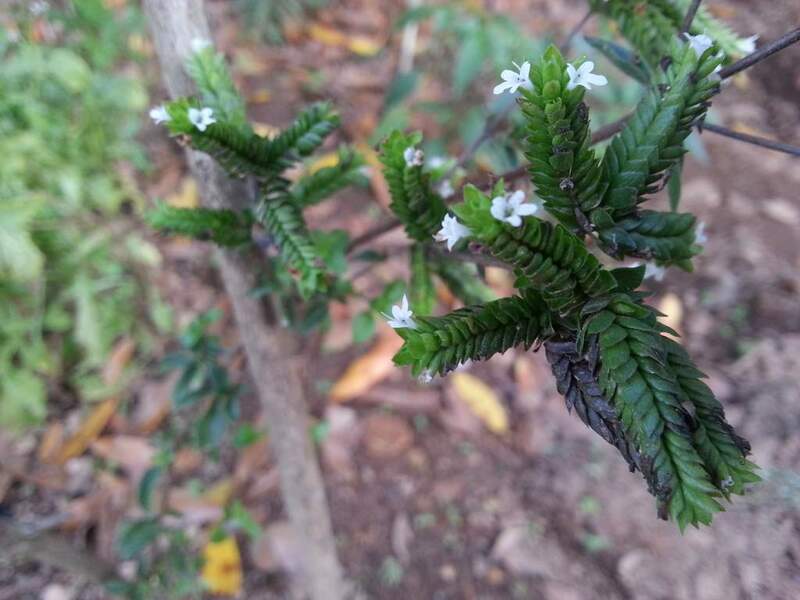 The plant is a small shrub, growing up to 75 cm in height with multi-branched stems covered with small grayish-green oval leaves and small white or pink flowers. See all Oregano varieties here. Oregano contains an impressive list of plant derived chemical compounds that are known to have disease preventing and health promoting properties. The herb parts contain no cholesterol; however, are rich source of dietary fiber, which helps to control blood cholesterol levels. Oregano contains several health benefiting essential oils such as carvacrol, thymol, limonene, pinene, ocimene, and caryophyllene. Its leaves and flowering stem has anti-septic, anti-spasmodic, carminative, cholagogue (help gall bladder secretion), diaphoretic (sweat production), expectorant, stimulant, and mildly tonic properties. Its decoction is taken by mouth for the treatment of colds, influenza, mild fevers, indigestion, stomach upsets, and painful menstruation conditions. Thymol is also been found to have anti-bacterial, anti-fungal activities. The herb is rich in poly-phenolic flavonoid anti-oxidants (Vitamin A, C, E, and K, carotenes, lutein, zea-xanthin, and cryptoxanthin) and has been rated as one of the plant sources with highest anti-oxidant activities. These compounds help act as protective scavengers against oxygen-derived free radicals and reactive oxygen species (ROS) that play a role in aging and various disease processes. This marvelous herb is an excellent source of minerals like potassium, calcium, manganese, iron, fiber, folate, and magnesium. Potassium is an important component of cell and body fluids that helps control heart rate and blood pressure caused by high sodium. Manganese and copper are utilized by the body as co-factors for the antioxidant enzyme, superoxide dismutase. Iron helps prevent anemia. Magnesium and calcium are important minerals for bone metabolism. It has been used in preparation of many popular dishes in Mediterranean and Mexican cuisine since ancient times. Along with other spicy items, it is being used as flavoring agent in the preparation of pizzas, chicken, fish, and meat dishes. It has also been used in the preparation of soups, omelet, sauces, and pickling. Freshly chopped oregano leaves is a great addition to green/fruit salad. One study found that adding an antioxidant-rich spice blend that included oregano to meat prior to cooking reduced the level of malondialdehyde (a chemical marker for oxidation) in the meat by 71 percent and levels in participants’ urine by 49 percent. The researchers used a blend of: Cloves, Cinnamon, Oregano, Rosemary, Ginger, Black pepper, Paprika, Garlic. You can easily recreate this simply by mixing the dry spices together and rubbing them onto the meat before you quickly sear it, or add them to your marinade. 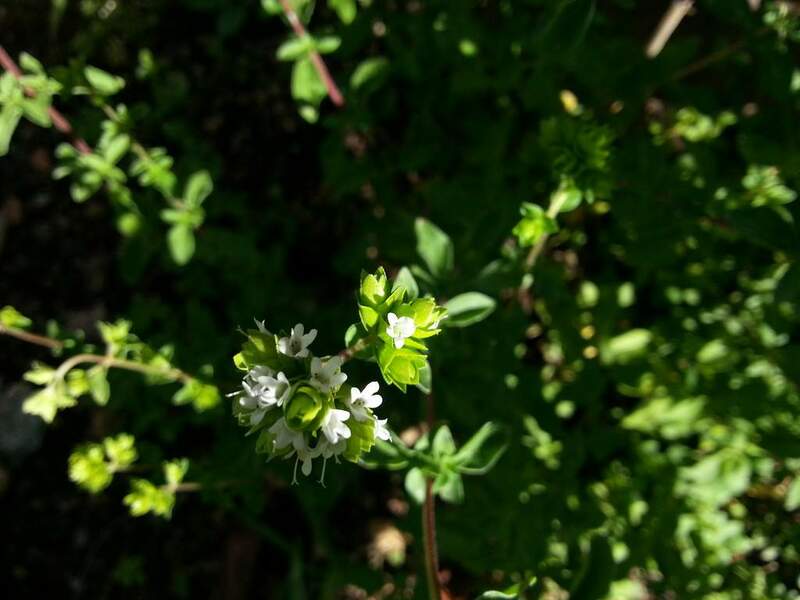 The leaves and flowering stem of the oregano plant have antiseptic, antispasmodic, carminative, increase bile secretion, diaphoretic, expectorant, stimulant, and mildly tonic properties. Oregano decoction is taken by mouth for the treatment of colds, influenza, mild fever, indigestion, stomach upsets, and painful menstruation. Thymol has been found to have anti-septic, anti-bacterial, and anti-fungal activities. Food-borne illness: Many food-borne pathogens, including Listeria, Salmonella, E. Coli, and Shigella dysenteria are inhibited by oregano oil. Not only may adding the oil to foods help to kill such bacteria, but using the oil if you have food poisoning may help to alleviate your symptoms. Topically for athlete’s foot or nail fungus: Try soaking your feet in a basin of water with a few teaspoons of oil, or rubbing the diluted oil (1 drop of oil in a teaspoon of olive or coconut oil) on your nails/skin. Under your tongue to help treat infections or parasites: Dilute the oil (1 drop of oil with 1 drop of a carrier oil) and place one or two diluted drops under your tongue. Hold it for a few minutes, then rinse your mouth with water. Repeat up to four times a day. Infections: Urinary tract infections (UTIs), because it inhibits the growth of E. Coli, Proteus and Pseudomonas aeruginosa, bacteria that may cause UTIs. Yeast infections, including those that are resistant to the commonly used drug Diflucan.Parasitic infections: Oregano oil has been shown to be more effective against the parasitic amoeba Giardia than the drug tinidazol. Inhibiting the growth of Klebsiella pneumoniae and Staphylococcus aureus, which may cause respiratory infections. 3. Anti-inflammatory Properties – Oregano contains beta-caryophyllin (E-BCP), a substance that inhibits inflammation and may also be beneficial for conditions including osteoporosis and arteriosclerosis,8 as well as metabolic syndrome. 4. Useful for Upper Respiratory Infections – Oregano also has potential anti-viral activity, and a spray containing aromatic essential oils from five plants, including oregano, was found to significantly relieve symptoms “immediately” in those with upper respiratory infections. If you come down with a cold or the flu, oregano oil can also be useful. Generally, the higher the carvacrol concentration, the more effective it is. Interestingly, oregano encourages sweat production as a mode of detox, and ingesting it may help your body to get rid of unwanted phlegm in your lungs. Seeds: Unlike herb plants that are harvested for their leaves and seeds, oregano is grown for only its fragrant, edible leaves. 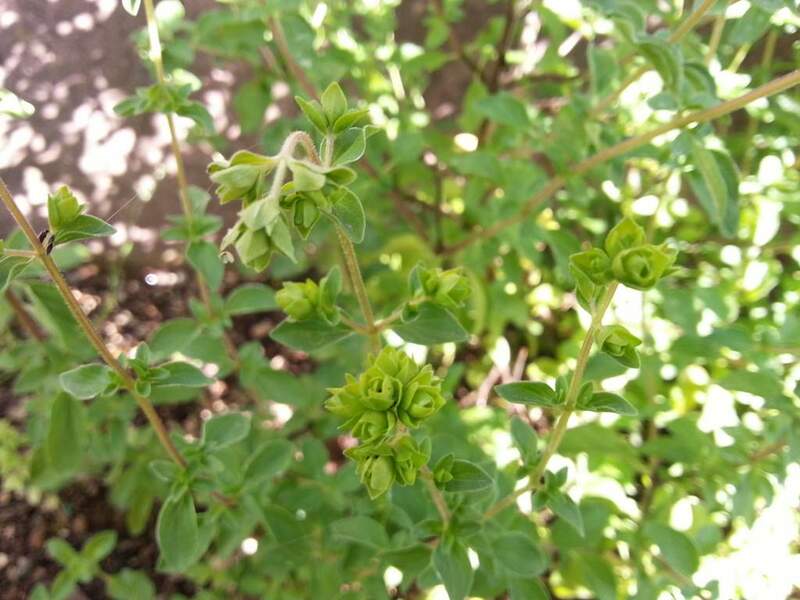 Growing oregano plants from seeds requires either purchasing the seeds from a grower or collecting seeds from a mature oregano plant. Oregano seeds are tiny and develop after the plant’s flowers fade in late summer or early fall. Start the seeds indoors four to six weeks before your area’s last average frost date so the resulting seedlings will be ready to plant in spring. Germination: Oregano seeds need a sterile environment with good drainage to germinate successfully. A preblended, soil-less, seed-starting mixture or a homemade mixture that is one-half peat moss and one-half perlite or sand is a good environment. Dampen the mixture, and use it to fill a seed flat that has drainage holes in its bottom. Sprinkle oregano seeds on top of the damp mixture. Oregano seeds germinate best in a mixture that is 60 degrees Fahrenheit. The seeds need bright, indirect light and consistent moisture during germination. Seedlings appear seven to 14 days after the seeds were planted. Seedlings: Plant oregano seedlings, either started from seeds or purchased at a nursery, in spring. Oregano plants thrive in a location that receives full sun exposure and has moderately dry soil. Make each oregano seedling’s planting hole the same depth as the seedling’s root ball. Oregano plants do best when spaced 8 to 12 inches apart. When you put the herbs in the soil, ensure the base of the stalks are level with the soil line. After filling the remainder of each hole with soil, press the soil downward gently with your hands. Water the site immediately after planting; the water settles the soil. Fresh as well as dried oregano can be readily available in the herb stores all around the year. Try to buy fresh herb over its dried form since it is superior in flavor and richer in essential oils, vital vitamins and anti-oxidants like beta-carotene, vitamin C, and folates. Choose fresh oregano leaves featuring vibrant green color and firm stem. It should be free from mold, discoloration or yellowing. Try to buy dried oregano from the organic farm and processed from authentic sources since it assurances you that the product is free from irradiation and pesticide residues. Fresh leaves should be stored inside the refrigerator, kept in a zip pouch or wrapped in a slightly damp paper towel. 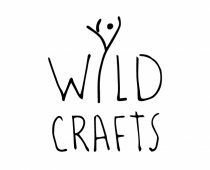 Dried leaves can be kept fresh for many months when stored in a tightly sealed glass container, and stored in a cool, dark and dry place.